The above image of the Tajimi International Exchange Organisation party 2017 is shot with a VR camera, but presented here as a flat image. On this site you will be able to experience what Tajimi feels like, what being here is like, thanks to VR video and photography. In this section you can find out more on what you need to do in order to fully enjoy a virtual visit to our city. The people in the picture here above are in fact standing in a ring. 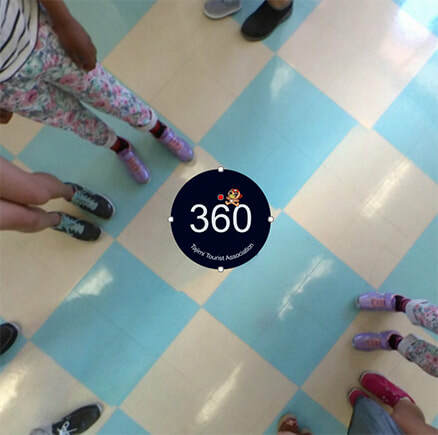 To see what the place really looked like, you need to view it in VR - a 360 degree image.